Every August classic car fans from around the world converge on Pebble Beach in California for a very special beauty contest. 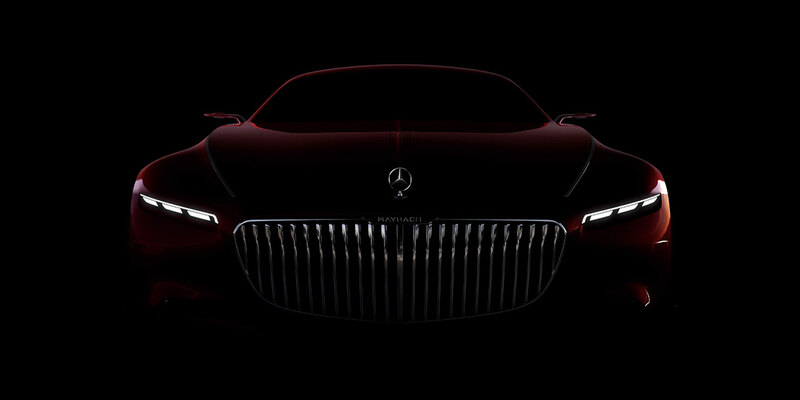 This gathering of magnificent classic cars is the perfect place to premiere the exclusive Vision Mercedes-Maybach 6, a sensational luxury-class coupé. The 2+2-seater is a homage to the glorious age of the aero coupés and consciously carries this tradition forward into the future. The coupé reinterprets classic, emotional design principles in an extreme way, following the Mercedes design philosophy of sensual purity. The large coupé is set to make its debut at Monterey Car Week, which will take place on the Monterey Peninsula between 16 and 21 August 2016. The final event on 21 August will be the Pebble Beach Concours D'Elégance. With its sensual, emotional design ("hot") and intelligent details ("cool"), the Vision Mercedes-Maybach 6 represents the ultimate in luxury. The classic aesthetic proportions of the show car – the extremely long bonnet, the low roof line and the rearward positioning of the greenhouse – recall the aero coupés of days gone by. But this is not retro design – this is a reinterpretation of classic, aesthetic principles. "Our glamorous coupé, the Vision Mercedes-Maybach 6, represents the ultimate in contemporary luxury. 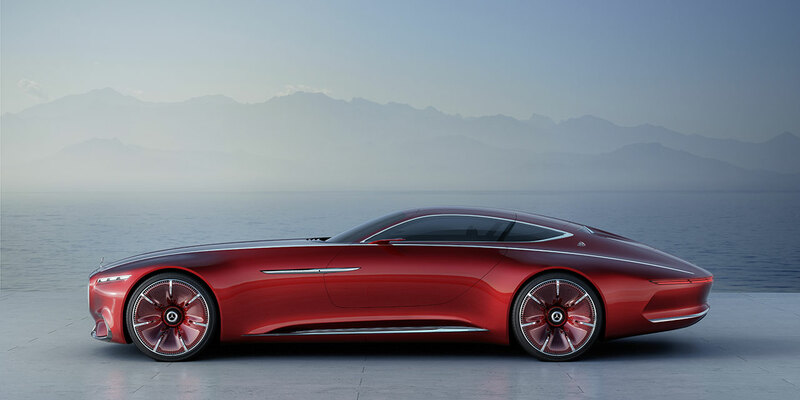 It is hot and cool," states Gorden Wagener, Head of Design at Daimler AG. "With its intelligent appeal and reduced, technoid look, it perfectly embodies our design philosophy of sensual purity and our pursuit of aerodynamic efficiency." 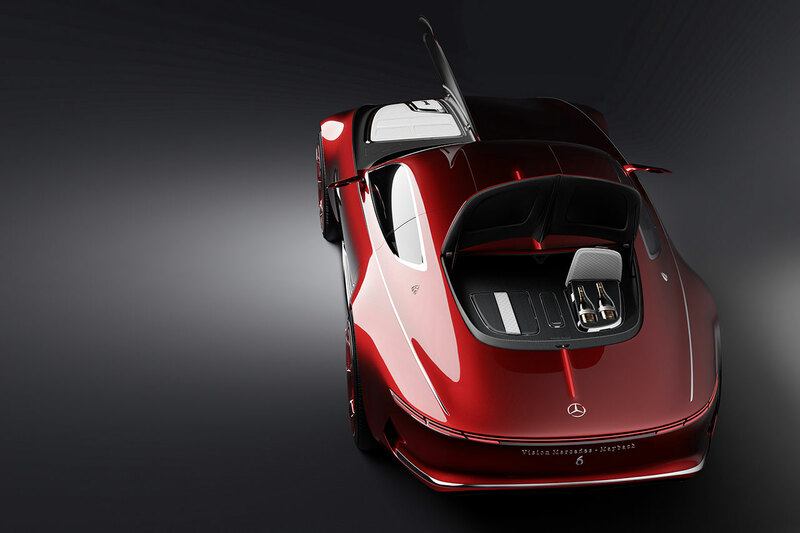 A further highlight is provided by the gullwing doors, a hallmark Mercedes design element which has been brought up to date. They underline the sporty character of the vehicle's silhouette and feature innovatively designed aluminium trim. The exterior mirrors designed as cameras are supported on the wings. The extended, round "boat tail" format of the Vision Mercedes-Maybach 6's rear recalls a luxury yacht, and narrow tail lights which emphasise the width of the vehicle are integrated in its outer edges. Above this sit the two extremely shallow rear windows ("split window"). Further distinctive features at the rear include the diffuser with aluminium frame and the air outlets behind the wheel arches. The dashboard wing curves across the door trim into the seat landscape, creating a 360° lounge. The new "inside out" spatial design adds a particular touch of finesse. The sitting surface forms a horizontal, which transitions into the vertical of the doors and finally becomes the underside of the dashboard wing. Ever since Mercedes-Benz invented the car 130 years ago, driving has been a source of enjoyment and delight. With the increase in digitisation comes a simultaneous need for sustainable analogue solutions, the design of which has been emphasised and in places exaggerated in the concept car. 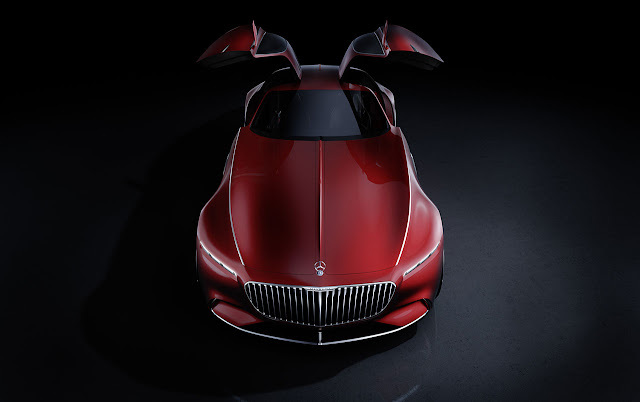 In the Vision Mercedes-Maybach 6 this can be seen above all in the "hyperanalogue" instruments with needles and circular, crystal-look displays. The luxury padded leather upholstery is a particular highlight. 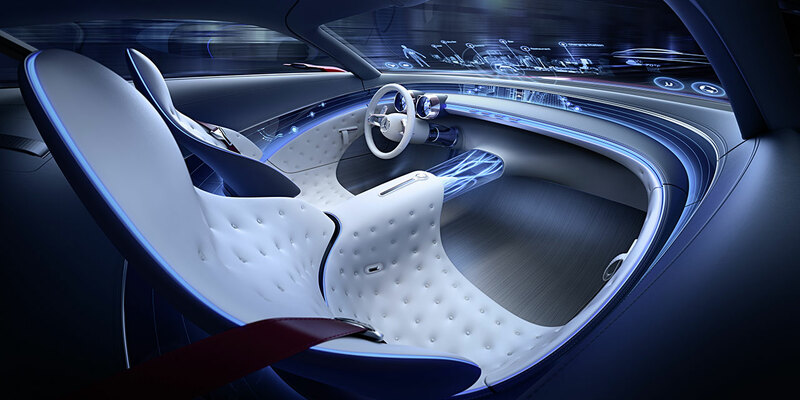 Its traditional look is combined with future technology here - the buttons which would normally be trimmed in leather have been replaced in the upholstered surfaces by miniature "body sensor displays". These scan the passengers and monitor, for example, their vital functions. As a result, comfort features such as seat climate or the massage function, for example, can be activated or the seat settings adjusted to the passenger. The sensors embedded in the upholstery also record the incidence of light, the colour of the occupant's clothing and the ambient temperature. This information can be used to trigger new, emotional lighting effects in the interior. The concept car aims to embody the ultimate in luxury, and this is underlined by the fact that the driver can switch to digital/autonomous mode. Another highlight is offered by the floating, transparent centre tunnel, which visualises the drive system's electrical energy flow for the occupants. 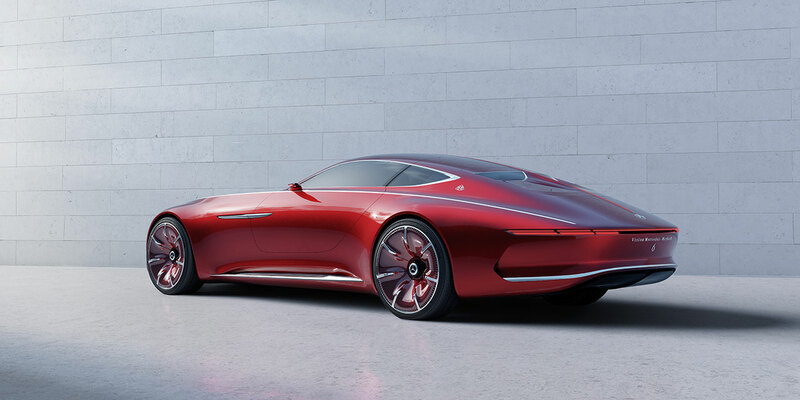 The side sills, illuminated by LED light strips, clearly underline the fact that the Vision Mercedes-Maybach 6 is designed as an electric car. Thanks to its four compact permanent magnet synchronous electric motors, it features all-wheel drive. The output of the drive system is 550 kW (750 hp). The shallow underfloor battery has a usable capacity of approx. 80 kWh. This not only allows performance characteristics typical of a sports car (acceleration from 0‑100 km/h in under four seconds, top speed electronically governed at 250 km/h) but also a range of over 500 kilometres according to the NEDC (over 200 miles according to EPA). 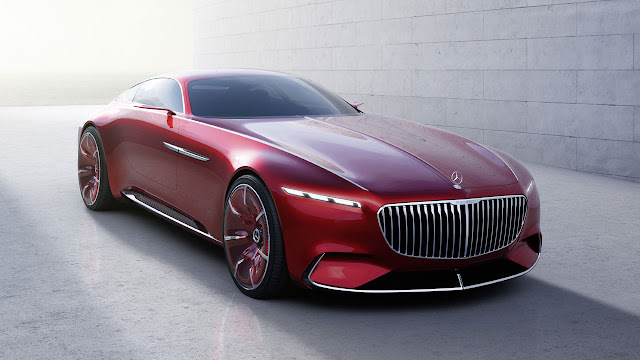 Mercedes-Maybach stands for the ultimate in exclusivity and individuality. The target group is made up of status-oriented customers. 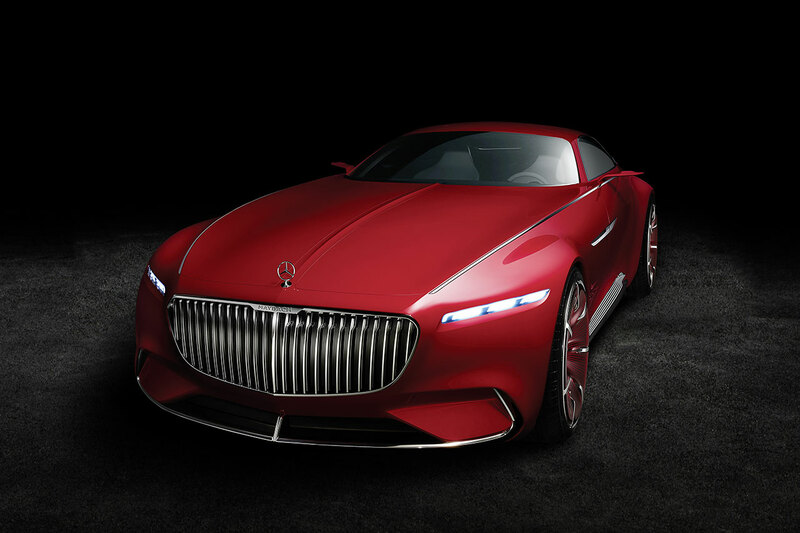 The current vehicles include the Mercedes-Maybach S 500 and S 600 models, launched in February 2015, which blend the perfection of the Mercedes-Benz S-Class with the exclusivity of Maybach. A special protection version, the Mercedes-Maybach S 600 Guard, is the world's first passenger car to meet the highest ballistic protection level for civilian vehicles, VR10.